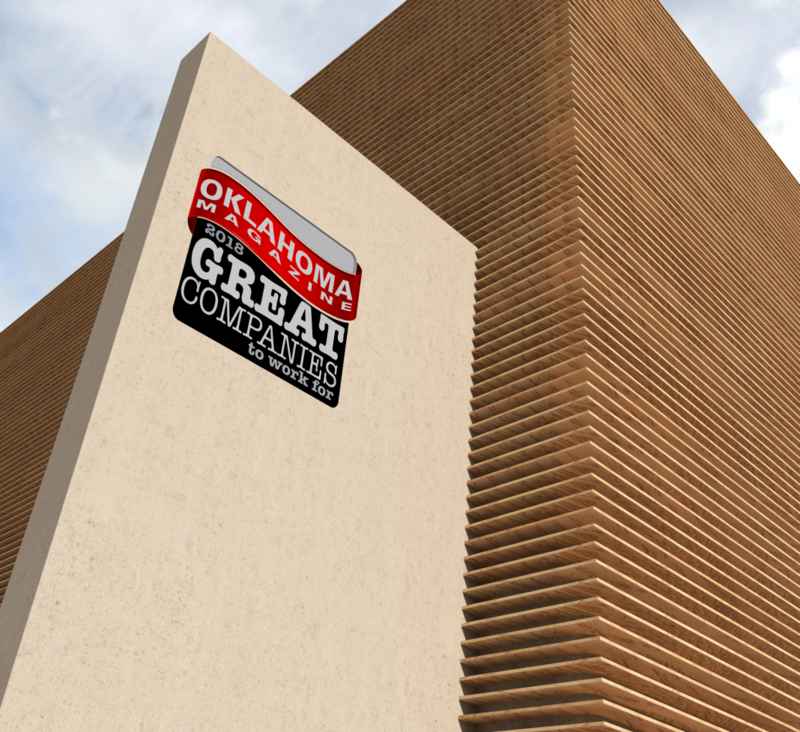 Each year, Oklahoma Magazine selects those companies with the highest rates of employee satisfaction to join the exclusive ranks of the Great Companies To Work For list. Every industry in Oklahoma is represented, from accounting and finance to higher education and real estate. In 2018, Schwab was selected as one of Fortune magazine’s most-admired companies. Schwab has a deliberate, seven-step investment plan that’s individualized for each customer. Recognizing that a fulfilling life is not just about earning a paycheck, Eide Bailly encourages staffers to invest in their community by offering eight hours of paid time off to spend supporting charitable organizations and causes. In 2018, HoganTaylor absorbed the Little Rock firm of JPMS Cox to bring staff numbers in the Tulsa and Arkansas offices to more than 300. In 2017, the firm made Inside Public Accounting’s top 200 list. 2Regent Bank retains its small-town feel by design. A business with an increased workforce of 31 percent this year alone has envious momentum. Regent Bank’s growth is deliberate, says President/CEO Sean Kouplen, who, with a partner and investors, bought the institution 10 years ago. Then, the bank had 43 employees, $72 million in assets and a building in Nowata. Now the headquarters is in Tulsa, with locations in Oklahoma City; Springfield, Missouri; and Nowata, where Regent began in 1898. 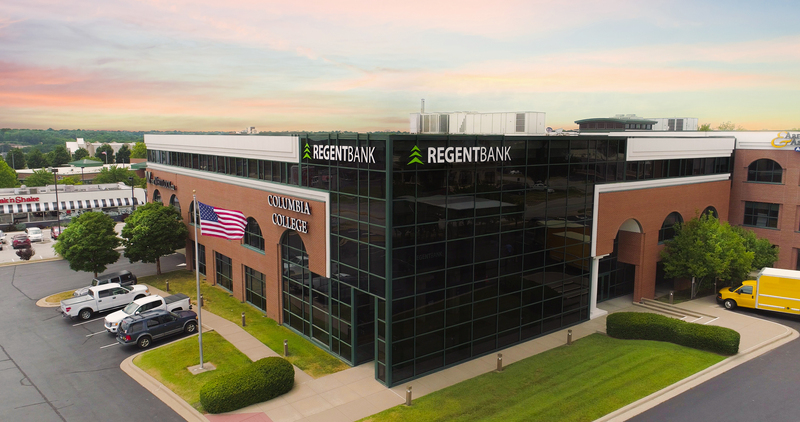 Regent and its 105 employees recently surpassed $600 million in assets. As Kouplen says, because “we’re family-oriented and share our life experiences daily,” they spent $600 per person on celebrations, including bonuses. “The employees pass that family feeling along to our clients,” he says. Kouplen despises bureaucracy and jokes that everyone at Regent knows it, so he lets supervisors make most of the decisions. This view comes from being stifled early in his banking career as a manager and being raised on his family’s ranch near Beggs. “On a farm, you become pretty self-sufficient and figure things out,” he says. 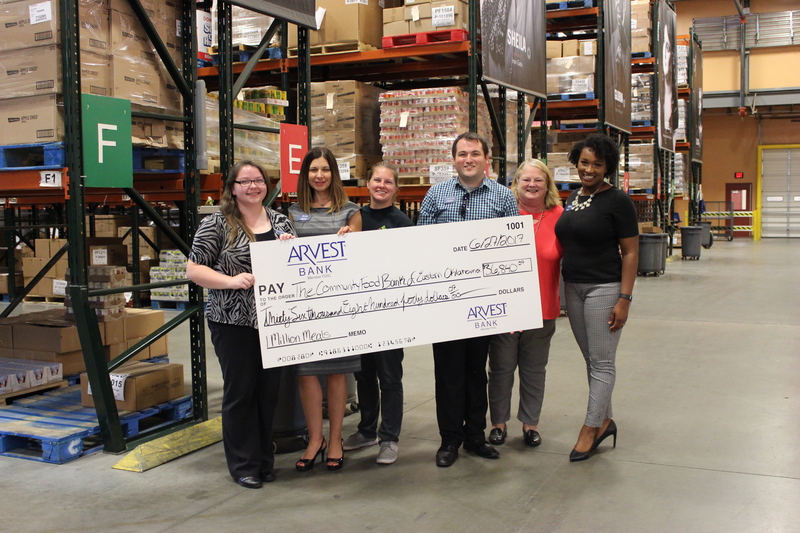 Arvest has branches in 43 cities and towns in Oklahoma. 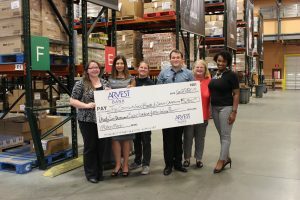 Arvest entered the Oklahoma market in 1987 with a 50 percent purchase of Security National Bank of Norman and has come a long way since its first location in Bentonville, Ark., was established in 1961. With assets of more than $135 million, Bank 2 is regularly cited as one of the top Native American-owned businesses in North America. Bank 2, bought by the Chickasaw Nation in 2002, holds the most mortgages for Native Americans in Oklahoma and is one of the leading lenders throughout the country. Bank of Oklahoma/BOK Financial Corp.
With about 3,000 workers across the state, Bank of Oklahoma remains a top employer each year. Founded in 1908, the bank is the largest holding of BOK Financial Corp., which holds $30 billion in assets. Bank of Oklahoma is the state’s largest bank. Communication Federal has 211 employees around the state and was named by Forbes magazine as one of Oklahoma’s best credit unions in 2018. Originally called Pioneer Bell, the credit union was founded in 1939 by Southwestern Bell employees. First Fidelity has 29 branches and more than 400 employees across Oklahoma and Arizona. First Fidelity has become a leader with mobile phone payments, launched in 2012. First Fidelity began as the Bank of Norman in 1920. In 2018, MidFirst, which also has a large presence in Tulsa, received J.D. Power’s highest ranking in the southwestern U.S. region for customer satisfaction and was rated No. 1 overall in the nation. MidFirst is one of the largest privately owned banks in the country. Begun in 1942 with $628 in assets and 27 members, OCCU has grown to be the eighth-largest credit union in Oklahoma with more than 45,000 members, 132 employees and about $500 million in assets. Opened in 1954, the credit union has 125 employees and 91 branches across the state with $500 million in assets. The institution is a partner in the Keep It Local OK campaign to promote businesses throughout the state. Rogers County Bank, founded during the Great Depression in 1936, has been an anchor in the Claremore economy since its inception. The bank switched to its initials in 1990 when it expanded into other counties, and it continues to grow with 52 branches, 698 employees and $2.79 billion in assets. Red Crown was started in 1938 by a Stanolind Oil and Gas Co. employee collecting money in a shoebox in a desk drawer. That humble start has led to a company employing more than 50 people and serving more than 23,000 members with $195 million in assets. With $3.8 billion in assets, Tinker has been in business for 72 years and is the largest credit union in the state, with 30 branches across Oklahoma and 363,000 members. Workers at Vance Air Force Base in Enid joined the team in 1967, and more than 700 Oklahoma companies have followed. True Sky, serving eight counties in central Oklahoma, began when eight Civil Aeronautics Administration members began the credit union in 1947. It has $586 million in assets, 50,982 members and 141 full-time employees. TTCU, formerly Tulsa Teachers Credit Union, began in 1934 during the Great Depression at the original Central High School as a way for teachers to get loans, which were difficult to obtain at that time. It now has more than 120,000 members and assets of more than $1.7 billion. It is the second-largest credit union in Oklahoma. Tulsa Federal is big on community partnerships; it’s the primary sponsor of the annual Tulsa Run. The credit union began humbly in 1943 with a dozen members and $240 in assets. The community-chartered credit union now manages 192 full-time employees, 57,800 members and $767 million in assets. In 1969, employees of the Western Electric of Oklahoma phone company formed a credit union. It serves 54,441 members in seven central Oklahoma counties with its 194 employees and $704 million in assets. AT&T has more than 5,200 employees in Oklahoma and, as a successor to Southwestern Bell, has a 124-year history in the state. In 2018, it finished a three-year, $775 million upgrade of its wired and wireless networks in Oklahoma. Cox has a heavy presence in the state’s two largest metropolitan areas and is a corporate sponsor of convention centers in both cities. 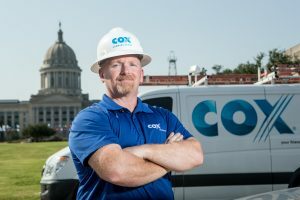 Cox operates in 17 other states. Women in Cable Telecommunications and DiversityInc have recognized Cox for its inclusive workplace. The Tulsa call center, one of four nationwide, employs about 450 customer service representatives and sales consultants. U.S. Cellular is the fifth-largest full-service wireless carrier in the United States. 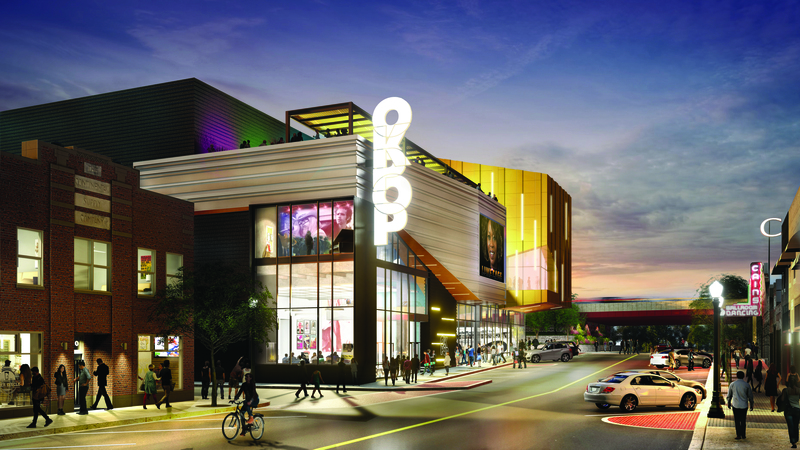 Nabholz Corp. has won the bid to build the oklahoma museum of popular culture. Photo courtesy Nabholz inc.
Shane Fernandez, president of Nabholz Corp.’s southwest region, uses inclusion and diversity as cornerstones for success. Fernandez says he came to Oklahoma “on a leap of faith” after taking time off in Hong Kong before college. With bachelor’s and master’s degrees in architecture from OU, Fernandez has remained in state the last 23 years in Tulsa. Fernandez, son of a Danish mother and Spanish-Filipino father, has lived all over the world, shaping his personal and professional outlooks. “You learn about compassion, differing perspectives and caring about people,” he says. Begun near Shawnee in 1896, Cowen is a fourth-generation, family-owned company built on adaptability, quality and surpassing customer’s expectations. Its employees actively support nearly 30 nonprofits in Tulsa County. This conglomeration of companies has grown to more than 1,500 employees. It started in 1977 in the garage of founder Ivan “Red Iron” Crossland. The firm has its own heavy construction company (Crossland Heavy Contractors), in-house precast plan (Crossland Prefab) and development and holding company (Crossland Realty Group). 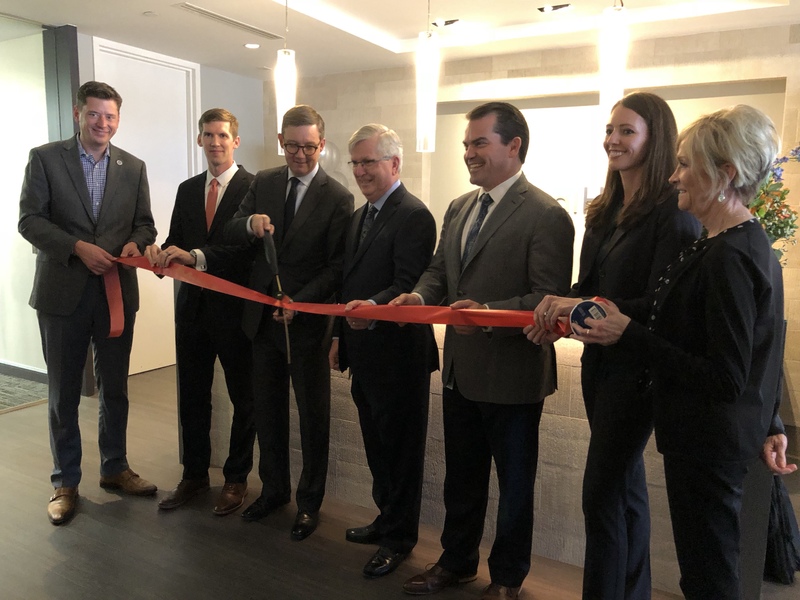 Fleming has had an impact on non-residential buildings in Tulsa since 1946, with 90 percent of its customers having added another building to be constructed by Fleming. It leads the nation in the use of Butler MR-24(R) standing seam roof systems. Flintco, which entered it second century this year, is an institutional and commercial contractor. Its origins trace to Tulsa Rig, Reel and Manufacturing Co., a drilling and pumping equipment supplier for the rapidly growing oil industry formed in 1908. C.W. Flint took full ownership of the company after World War I. The Oklahoma City office is one of five in the employee-owned company and the only one east of the Rocky Mountains. Since 1967, GE Johnson has employed craftsmen, engineers, financial experts, facility managers, community leaders, architects and entrepreneurs. GE Johnson regularly appears in Engineer News-Record’s top 400 listing for contractors. In addition to metropolitan Oklahoma City and Tulsa, Home Creations has a significant presence in Chickasha. Brothers Jalal and Mohammad Farzaneh began the home building business in 1981. Home Creations also supports dozens of nonprofits throughout the state. Manhattan, the first company to incorporate in the brand-new state of Oklahoma in 1907, began in 1896 in Chandler (then in Oklahoma Territory). Some of Manhattan’s projects include Reliant Stadium, home of the Houston Texans, and AT&T Stadium, home of the Dallas Cowboys, in Arlington, Texas. Reliant had the first retractable roof for an NFL team. Manhattan also built the dome over the Oklahoma capitol; the adjacent Oklahoma History Center; and the U.S. Capitol Visitor Center in Washington. Ross – an established general contractor emphasizing development, engineering, design and construction – has a strategic alliance with Westmoreland Builders for multi-site commercial and retail projects. From a kitchen table in the Catoosa home of Jesse and Ora Mae Ross in 1979, the company began as a carpentry and interior finishing firm. The company made a big move in October when it unexpectedly announced that it had acquired WildHorse Resource Development for $4 billion. Forbes magazine wrote that the move showed Chesapeake, after some turbulence through the years, was ready to grow again. CEO Doug Lawler called the deal a “pivot point” for the company. About 2,000 Phillips 66 employees can still call themselves Bartians, down from a high of 6,000, before Phillips merged with Conoco and moved its headquarters to Houston. ConocoPhillips is the world’s largest independent exploration and production company. Continental, an independent oil and natural gas producer, is the largest leaseholder in the Bakken field of North Dakota and Montana. The Bakken is one of the premier oil and gas fields in the country. CEO Harold Hamm has directed the company since its inception in 1967. Devon was founded in 1971 by John Nichols, who, in 1950, created the first public oil and gas drilling fund registered with the Securities and Exchange Commission. Devon has about 3,000 employees. EOG has grown by focusing on what are known as premium wells, which deliver solid returns even when crude oil and natural gas prices are low. 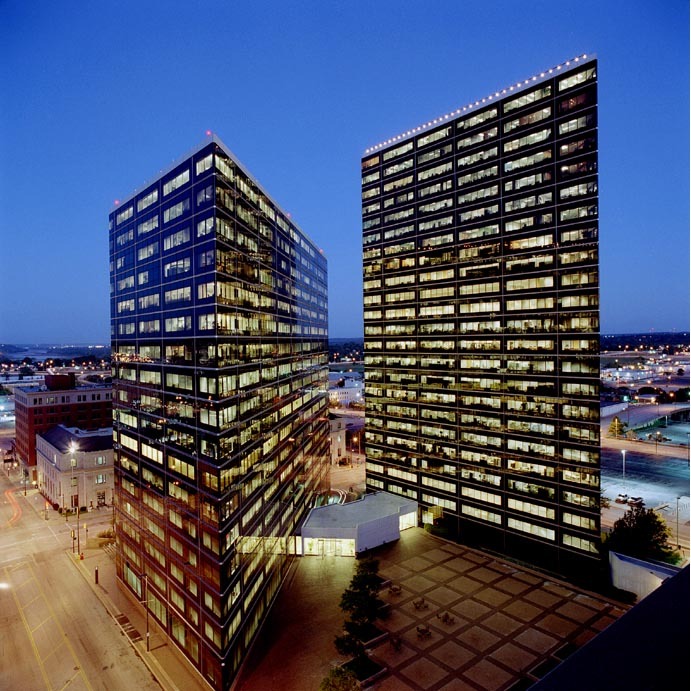 In 1999, EOG dropped its affiliation with Enron Oil & Gas Co. and changed its name. With an aggregate storage capacity of about 26 million barrels of oil, Magellan has access to 53 connected terminals and 27 independent terminals. Magellan owns the longest refined petroleum products pipeline system in the country (9,700 miles) and can tap in to nearly 50 percent of the nation’s refining capacity. OGE, founded in 1902, is the parent company of Oklahoma Gas and Electric (OG&E). It is the state’s oldest and largest investor-owned electric utility. Its power plants use natural gas, coal, wind and solar power and serve 830,000 customers in 276 municipalities across 30,000 square miles. ONE Gas subsidiaries – Oklahoma Natural Gas, Kansas Gas Service and Texas Gas Service – serve more than 2 million customers in those states. ONE Gas has about 3,400 employees. 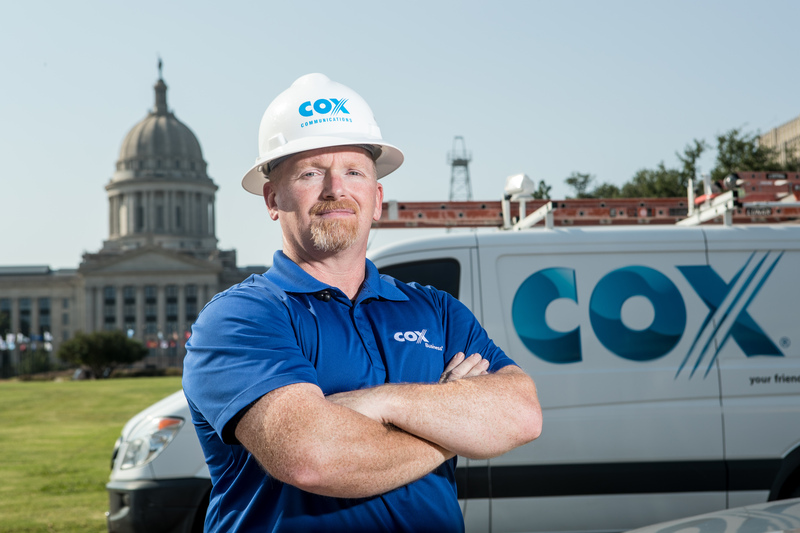 Founded in 1906 as Oklahoma Natural Gas Co., an intrastate natural gas pipeline company, ONEOK now reaches across the country with 38,000 miles of integrated pipeline. The original ONG, along with other gas producers, spun off to become ONE Gas in 2014. SandRidge has focused its resources primarily in the Meramec formation in Major, Woodward and Garfield counties in Oklahoma (70,000 acres), along with the North Park basin in Jackson County, Colorado (125,000 acres). SemGroup Corporation moves energy across North America through a network of pipelines, processing plants, refinery-connected storage facilities and deep-water marine terminals with import and export capabilities. SemGroup serves as a versatile connection between upstream oil and gas producers and downstream refiners and end users. Key areas of operation and growth include western Canada, the Mid-Continent and the Gulf Coast. SemGroup is committed to safe, environmentally sound operations. Headquartered in Tulsa, the company has additional offices in Calgary, Alberta; Platteville, Colorado; and Houston, Texas. Williams, founded just after Oklahoma statehood, owns and operates midstream gathering and processing assets, along with interstate natural gas pipelines. The Tulsa headquarters oversees an energy infrastructure that connects North America’s significant hydrocarbon resources to growing markets for natural gas and natural gas liquids. Advance Research Chemicals, founded in 1987 by Dayal Meshri, has become one of the top specialty fluorine companies in the world. The company has more than 85 employees and utilizes 250,000 square feet of production area. Crafton Tull has more than 200 employees across its two offices in Oklahoma and five in Arkansas. Crafton Tull, founded in 1963, is a civil engineering, architecture, landscape architecture, planning and surveying firm. Enviro Clean Cardinal is an environmental and civil engineering service firm along the Gulf Coast and throughout the Midwest. Enviro Clean’s executive team has decades of experience in many specialties, from air-quality practices to hydrogeology. Corporate sibling Cardinal, a civil engineering powerhouse, provides transportation design, land planning, utility study and design, and site development. With additional offices in Oklahoma City and Mesa, Arizona, GH2 has completed more than 3,500 projects in 48 states and 13 countries since its founding in 1973. Its portfolio includes structures from schools and athletic venues to equine facilities and residences. 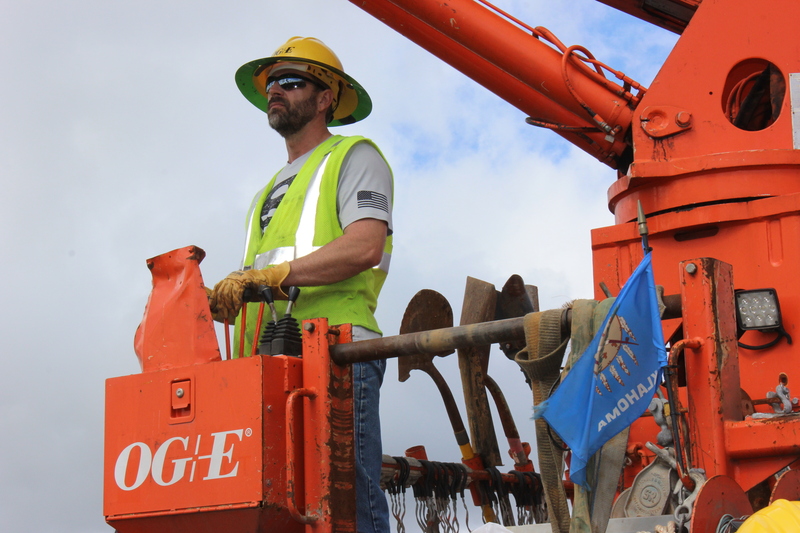 Guy Engineering designs roads for the state of Oklahoma, its municipalities and all 77 counties. It also provides bridge inspections, surveying and mapping services. Guy began as Willard Engineering, focusing on hydrology and hydraulics and contracting with the Tulsa District office of the U.S. Army Corps of Engineers. 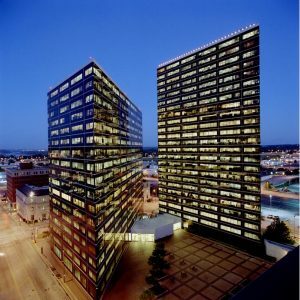 The Tulsa office of this worldwide conglomerate is the headquarters for Linde’s North American engineering operations. It’s also a hub for Linde Global Procurement. More than 400 employees produce feasibility studies, process and mechanical designs, equipment and material purchases, fabrication and construction. Right after the company’s title is its descriptor: “Architects, Engineers, Interior Designers, Planners.” This full-service design firm also has expertise in structural, mechanical and electrical engineering. Matrix is giving the Cox Business Center in Tulsa a complete internal face-lift and creating a brand-new entrance for the half-century-old building. The Oklahoma offices are part of a national firm that is also present in Atlanta, Denver and Kansas City. Founded in 1981, Wallace employs more than 140 people in its five offices. This year, it was No. 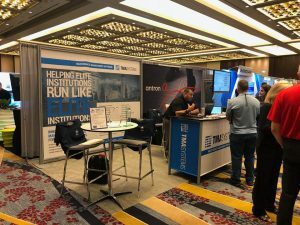 9 on Building Design and Construction’s list of top engineering and enterprise architecture firms. Choctaw Casino and Resorts has eight venues around Oklahoma. The Durant location offers 286 luxurious rooms, the Spa Tower, bowling, laser tag and a cinema. The Choctaw Grand Theater, also in Durant, hosts A-list performers like Reba McEntire and Foreigner. 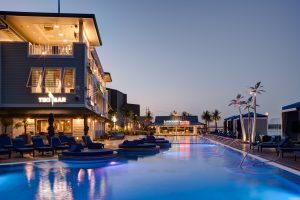 The Downstream Casino Resort is an upscale, state-of-the-art casino whose look and feel are influenced by the rich history of the Quapaw culture. Stay at the Kappa Tower or Osotouy Tower hotels for luxurious relaxation, and enjoy fine dining at the Red Oak Steakhouse or five other eateries and bars. On the north end of the RiverWalk Crossing, FlyingTee is a premier driving range in Tulsa County. It has restaurants and bars on each of its three stories, along with a large, outdoor patio on the ground level (in the shade during the summer; warm with portable heaters in the winter). Professional advisers also have personalized club fittings to help with each patron’s golf game. This is the Citizen Potawatomi Nation’s premier gaming venue and resort, offering Oklahoma’s only keno lounge, a luxury 14-story hotel tower and national caliber events, including musicians, comedians, sporting events and poker championships – all just a short drive east of Oklahoma City. This is Cherokee Nation Entertainment’s largest property, featuring a 456-room hotel, six restaurants, four clubs, meeting spaces, shopping and a golf course. Cherokee Nation Entertainment is Oklahoma’s fastest-growing entertainment company, which operates multiple casinos and retail establishments. The NBA’s Thunder, Oklahoma’s only major professional sports team, has a symbiotic relationship with its adoring fans … and employees (from superstar players to administrative staffers) recognize this deep connection. General manager Sam Presti has each new Thunder employee, be it a basketball All-Star or a support staffer, visit the Oklahoma City National Memorial. 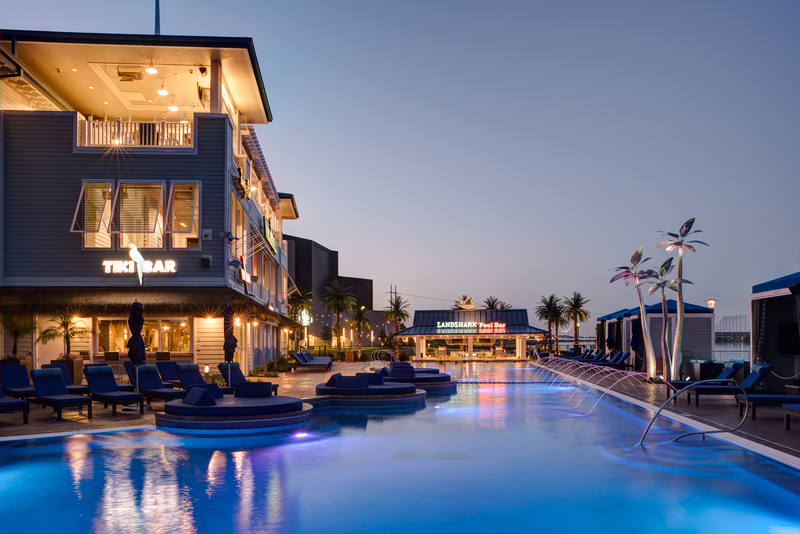 The north Tulsa casino, with a multi-year upgrade and expansion, made a splash in 2018 with a new hotel and the Nine Brand Brewing Co. just a few minutes from downtown. There are also casinos in Pawhuska, Bartlesville, Hominy, Skiatook, Ponca City and Sand Springs. The Muscogee (Creek) Nation’s shining star when it comes to night life, entertainment, dining, concerts and gaming, the River Spirit Casino Resort is where patrons can enjoy some of the largest gaming floors in Oklahoma, Jimmy Buffett’s Margaritaville Casino and Restaurant, and live music and other performances at Paradise Cove. River Spirit also celebrates inclusion and diverse perspectives, from its employees to the design, artwork and architecture in the building. SMG manages the Chesapeake Energy Arena, home of the NBA’s Oklahoma City Thunder. For a decade, SMG has made dozens of upgrades to the arena, which also hosts world-class concerts. SMG manages the BOK Center and the Cox Business Center. The former is the best concert venue in Oklahoma, while the latter boasts the largest ballroom in the state (30,000 square feet). SMG takes pride in each event, whether it’s a wedding party at Cox or a Paul McCartney concert at the BOK. Topgolf has more than 100 climate-controlled hitting bays, a full-service restaurant and bar, a rooftop terrace with a firepit and more than 200 high-definition TVs. Employees are encouraged to voice their opinions and embrace new ways to “wow” their guests. Oklahoma’s largest casino resort, the Chickasaw Nation’s WinStar World Casino and Resort offers a world of luxury and excitement – from the 600,000-square-foot gaming floor to the upscale restaurants such as Capisce Ristorante Italiano and Toby Keith’s I Love This Bar and Grill, and eight impressive, city-themed gaming plazas. Bama remains a Marshall family affair. Paul Marshall took a branch of his parents’ pie-selling business, which eventually became the giant plant on Route 66 near the University of Tulsa. 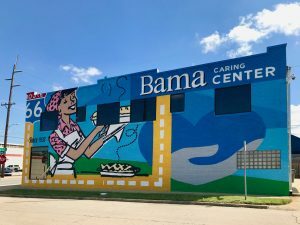 He served as CEO from 1937 to 1984; daughter Paula Marshall has expanded the business to include sales to fast-food and casual-dining restaurants. Ben E. Keith’s Oklahoma division, also serving Kansas, Missouri and Arkansas, runs a 355,000-square-foot facility across 88 acres. The warehouse contains 44 dock doors with 15,000 products stored in eight different temperature zones. Third-generation descendants of founder Zeak Naifeh own and operate a 238,000-square-foot facility. The 59-year-old company is the largest liquor wholesaler in Oklahoma with 9,000 lines of wines and spirits. It sells to around 500 liquor stores and 1,100 clubs across Oklahoma and in nearly every county. Founded by Larry D. Fleming in 1983, LDF markets, sells and distributes Coors, Miller and Boulevard beers, Red Bull energy drinks and a full range of other beer, wine, spirits and non-alcoholic beverages in Kansas and Oklahoma. Annually recognized by numerous sources as one of the top privately held companies in the United States, QuikTrip builds loyal employees by paying them well, helping them with collegiate tuition, offering generous benefits and providing plenty of opportunities for advancement. Hundreds of administrative positions at the corporate campus are staffed by workers who began as store clerks. QuikTrip, an $11 billion company, keeps growing each year and now has more than 20,000 workers and 700 stores across 11 states. Larry Reasor began the first store in Tahlequah in 1967, and today, son Jeff is the chairman and CEO; they both are known for hands-on leadership and empowering their employees. This Northeastern Oklahoma grocery chain, employee-owned since 2007, has 18 stores, one convenience store and nearly 2,700 workers. Central States Orthopedics and Eastern Oklahoma Orthopedic Center combined to make Advanced Orthopedics. The conglomerate treats all orthopedic problems, especially those involving sports injuries and other accidents. In addition to its 291-bed hospital, Deaconess operates 21 clinics with 45 providers across Greater Oklahoma City. The hospital is recognized for its care for cancer, cardiac, orthopedic, wound and rehabilitation patients. Founded in 1900 as the Home of Redeeming Love to help unwed mothers, Deaconess still runs its Open Arms Free Clinic. Ascension is the largest Roman Catholic health-care system in the country. St. John has been a medical mainstay in Tulsa for 92 years. The St. John system has more than 800 physicians and 7,000 employees, who are committed to holistic care and who advocate for a compassionate, just society promoted through actions and words. The Tulsa campus of Cancer Treatment Centers of America cares for patients with breast, colorectal, head-neck, kidney, lung, pancreatic and/or prostate cancer. 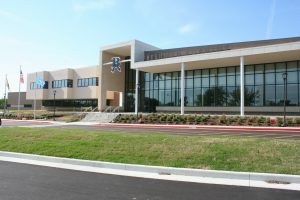 The Tulsa facility, opened in 1990, was the second of the Cancer Treatment Centers of America, founded in 1988 by Richard J. Stephenson. It moved from the CityPlex Towers, owned by Oral Roberts University, in 2005 to its 195,845-square-foot hospital off East 81st Street in 2005. 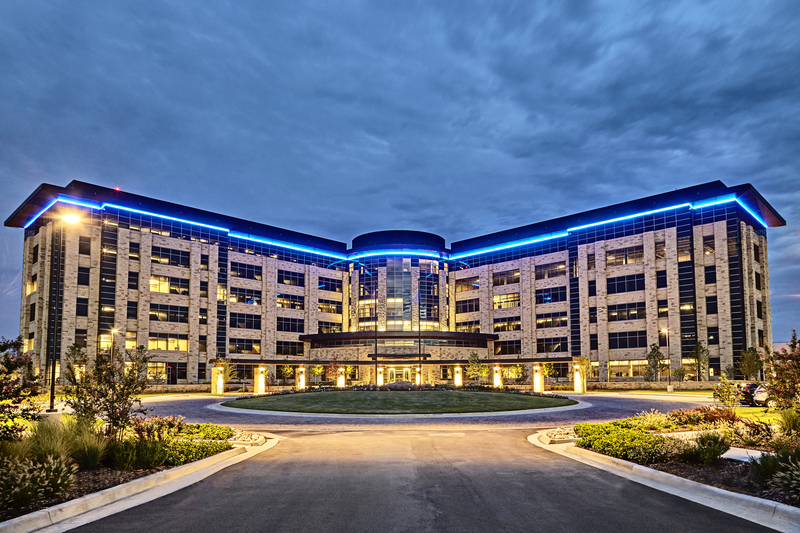 As a satellite of Bristow Medical Center, the Jenks campus has six operating rooms, four procedure rooms, 25 in-patient beds, a physical therapy wing and a 24-hour emergency room. The team of five physicians has a vast array of expertise and specialties and puts the patient’s care and rehabilitation as top priority. Part of the OU Medicine consortium, Dean McGee has the only medical doctor residency program in ophthalmology in Oklahoma. Founded in 1975, it is also a national research facility. The Peggy V. Helmerich Women’s Health Center at Hillcrest has specialists in gynecological oncology, urogynecology, reproductive endocrinology, perinatology, neonatology, osteoporosis and breast surgery. Hillcrest is also the home of the Oklahoma Heart Institute, the region’s largest hospital dedicated to the prevention, diagnosis and treatment of heart disease. Baptist is the flagship of the Integris Health Network, the largest nonprofit, Oklahoma-owned health-care system. One of the core values of the hospital and health system is wellness, so health-care providers emphasize go-beyond treatment of diseases and ailments and emphasize healthy lifestyles. “Love, Learn and Lead” is the system’s motto. This physician-owned speciality hospital has 75 acute-care beds, nine operating rooms and a 24-hour emergency room. Mercy has been on the forefront of innovation; in 1960, the first open-heart surgery in Oklahoma was performed there. Mercy was the first health-care facility in Oklahoma to gain national certification for its comprehensive stroke center. Mercy was also an early adopter of a comprehensive, integrated electronic health records system. Norman Regional, founded in 1946 to serve those who couldn’t make it to bigger hospitals in Oklahoma City, provided Norman with a hospital for the first time in three years after American Legion Memorial closed during World War II. It now anchors a health-care system for much of south-central Oklahoma. Biomedical research runs OMRF, founded in 1946 on $2.25 million donated by medical professionals from all fields as well as farmers, ranchers and other average Oklahomans. OMRF develops treatments for arthritis, autoimmune diseases, heart disease, cancer, lupus and Alzheimer’s disease. A charitable trust has provided financial stability for more than 50 years. Teaching residents is a primary function at OSU Medical Center, recognized for its wound care and hyperbaric clinic. 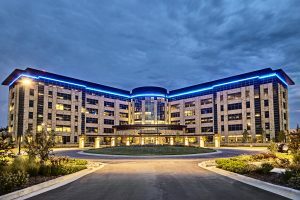 In 2016, Saint Francis Health System took over management of the facility. OSU Medical Center is the nation’s largest osteopathic teaching facility, with 11 residency programs, 150 residents and nine fellowship programs. The two locations treat orthopedic injuries and trauma from head to toe. Its staff has 10 doctors and 10 physician assistants that help get patients back to normal as fast as possible. OU Medicine is a union of the University of Oklahoma Medical Center, OU Physicians, the OU Children’s Hospital, the OU Medical Center-Edmond and the OU College of Medicine. The consortium treats scores of diseases and conditions in adults and children, educates rising classes of physicians and conducts national research. The hospital has acted as a vital cog in the development of Midtown; its education center, cardiac emergency department, revamped Center for Behavioral Medicine and other new projects have brought increased commerce to that area of Oklahoma City. As Oklahoma’s only Phase I clinical trials program, the University of Oklahoma’s Stephenson Cancer Center serves patients in all 77 counties. Stephenson provides comprehensive, multidisciplinary cancer care for patients, along with research in basic, translational, clinical, behavioral and populations-based sciences. Many attribute the enrollment growth and financial stability at Mid-America Christian University to John Fozard, the college’s president since 1999. The liberal-arts school has an issues-based curriculum that provides a creative, practical approach to all disciplines. Mid-America also appeals to non-traditional students with a heavy dose of evening and online classes. A diverse population, a rich history shared with the Cherokee Nation and the beautiful, laid-back city of Tahlequah make Northeastern State a winner in the eyes of many. NSU is large enough to have 54 undergraduate and 24 graduate degree programs, but small enough that everyone seems to know each other. 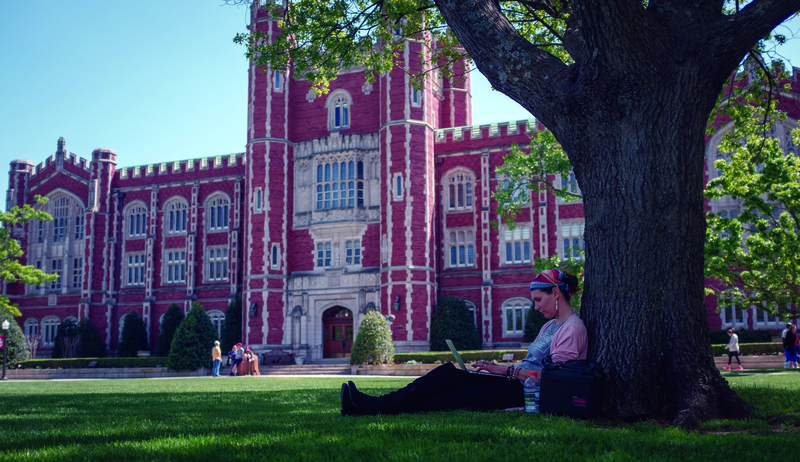 Founded in 1910 by the Baptist General Convention of Oklahoma, the university sits on 226 acres. It offers 10 bachelor’s degrees in 88 disciplines and five master’s degrees for its 2,093 students. 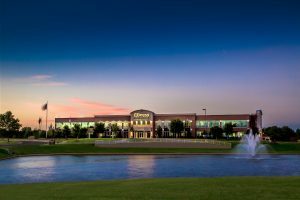 Unlike many community colleges these days, which have separate campuses in different parts of a metropolitan area, OCCC has kept just its one south Oklahoma City location since opening to 1,049 students in 1972. The formula has worked: more than 28,000 students attend myriad classes and programs in a dozen centers spread across 143 acres. Martha Burger, a former energy industry executive, became president of OCU in July. She succeeded Robert Henry, who had served since 2010. OCU has survived moves of the campus (from Guthrie to Oklahoma City), economic booms and busts, and highs and lows of enrollment. The liberal-arts school perseveres, and that is seen in its faculty and students. OSU calls itself America’s Brightest Orange, with metaphorical fires fueled by academic passion and a reputation rivaling other major schools with orange as their primary color. As the university expands with campuses in Tulsa, Oklahoma City and Okmulgee, it still inspires all its students and faculty to identify collectively as OSU Cowboys or Cowgirls. The OSU Center announced in November an alliance with the Cherokee Nation to begin a college of medicine in Tahlequah to educate physicians for Indian Country and other rural areas. In Tulsa, the center has the OSU College of Osteopathic Medicine, one of the top programs in the country, as well as schools of health-care administration, forensic sciences, biomedical sciences, allied health and medical education. For a school with 3,852 students, ORU’s appeal is geographically vast. Outside of Oklahoma, Golden Eagles by state are most likely to come from Texas, California, Florida and Colorado; plus, students matriculate from 90 foreign countries. ORU’s top major is ministry and leadership, and its missionary programs are among the best in the country. As longtime state Sen. Stratton Taylor, now retired, says, “We wanted in on the deal.” Taylor authored legislation creating RSU in 1998 atop College Hill, where its previous incarnations (Eastern University Preparatory School, Oklahoma Military Academy and Claremore College) sat. RSU continues to grow and expand each year as a result. Southeastern began as a normal school in 1909 to produce teachers. The college retains that mission, but its appeal has broadened. For instance, Southeastern, closer to the population behemoth of North Texas than to Oklahoma City or Tulsa, offers out-of-state tuition waivers and transfer credits to students from across the Red River, 15 miles away. 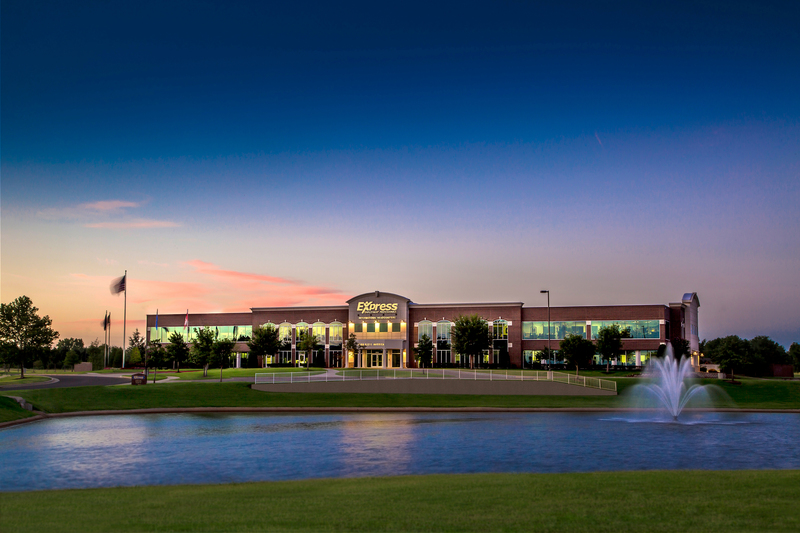 TCC’s Metro, Southeast, Northeast and West campuses are all fully equipped and can function as separate entities. However, TCC has an integrated curriculum, so a student can find a home at one campus or take some classes near home and others near work without missing a beat. UCO’s Vision 2020 lays out in detail what the university plans to become in the next few years. Key to this are creating a culture of collaboration and change, and redefining UCO as Oklahoma’s metropolitan university. Central is well on its way by emphasizing transformative learning among its students and faculty. Alumnus and major OU donor James Gallogly took over the presidency this year from David Boren, who served 24 years. He has restructured the administration and taken steps to close budget gaps. The former oil and chemical engineering company executive brings a business background to his position. He says his moves are intended to fund faculty pay raises and keep tuition stable. USAO’s core belief is to integrate knowledge from many disciplines for each of its students. That’s not unusual for a small, liberal-arts school. What makes USAO unique is that it’s also a public university (not private), one of a handful like it in the United States. Like most liberal-arts schools, USAO fosters closeness throughout the campus. President John Feaver calls USAO “an institution for the commonwealth of Oklahoma.” The town of Chickasha and the university operate closely together. TU, with 4,682 students, takes pride in offering an array of programs typical of much larger universities. Its status in NCAA Division I, especially in football, is unique for an institution of its size. 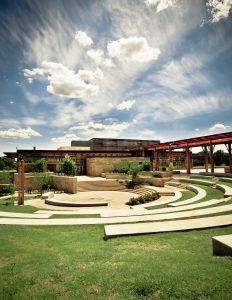 TU also manages the city-owned Gilcrease Museum. Academically, TU’s Undergraduate Research Challenge integrates its youngest students into advanced research. HireCall provides temporary, temporary-to-hire and direct-hire placements in dozens of industries. Other services include background screening, skill- and job-fit testing, training, payroll and risk management. HireCall also prides itself on what it calls its “over-the-top, borderline-ridiculous customer service.” The company began as Premier Staffing in 1996. This Certified Woman Owned Company has six specialized divisions to place workers: administrative, financial, legal, technical, industrial and medical. Key offers employment strategies to assist clients in their hiring needs. The company’s website offers testimonials from client companies about the employees hired via Key Personnel. The Tulsa and Oklahoma City offices focus on placements for accounting, finance, technology and administrative positions, but Robert Half as a national company has a global reach in its placements. Robert Half even offers clients a booklet called The Secrets of the Happiest Companies and Employees. C.W. Cameron and son C.B. Cameron launched American Fidelity in 1960 as a spin-off of an insurance agency that the father started in Oklahoma City in 1930. Bill Cameron is now chairman and CEO. “I like the feeling that I am adding to the foundation that my grandfather and father built,” he says. Blue Cross and Blue Shield is the largest health insurer in Oklahoma. It began in 1940 as Group Hospital Services of Oklahoma, but quickly adopted the Blue Cross name and logo. The Blue Shield Companion Plan, initially known as Oklahoma Physician’s Services, began in 1945. Saint Francis Hospital and St. John Medical Center created CommunityCare in 1993 as a joint venture, Tulsa’s first health maintenance organization. It has expanded significantly (with preferred-physician organization, a Medicare HMO and a Medicare supplemental plan) in its Tulsa and Oklahoma City offices. It provides services to more than 500,000 people. Serving federal, state, municipal and school employees, GlobalHealth represents more than 44,000 people in all 77 counties in Oklahoma. GlobalHealth has a comprehensive network of providers: 5,600 physicians and hospitals. The company has 224 employees in Oklahoma. With analytics, GlobalHealth says it reduces hospital admissions and re-admissions, emergency room visits and monthly medical costs. The nationwide company has scores of agents in Oklahoma. Founded in 1922, State Farm was ranked 33rd in the 2017 Fortune 500. Barkett is known for its experienced attorneys who litigate medical malpractice claims against insurance companies, hospitals and manufacturers. Barkett represents injured customers and accident victims throughout Oklahoma and other states on referral. Barrow & Grimm, a full-service law firm, specializes in business, estate, labor-employment, construction and tax law, along with dispute resolution. Its attorneys, specializing in a variety of disciplines, often pool their resources for rapid responses required in a complicated business environment. Calvert’s extensive experience in Oklahoma and nationwide has helped make it an industry leader in business and transactional law, mergers and acquisitions, litigation and appeals. Crowe & Dunlevy, begun in 1902, dates to Oklahoma Territory days and became the first recognized law partnership the next year. It opened its Tulsa office in 1989. The firm established Diversity Scholars programs at colleges of law at the University of Oklahoma (in 2005) and the University of Tulsa (in 2012). Founded in 1896 in Indian Territory, DSDA was one of the first law firms in Oklahoma to hire a female attorney. It is up-front in stating in a down-to-earth nature: “We are not a cookie-cutter law firm.” Many DSDA attorneys have become judges, served in governmental capacities or accepted regional or national appointments. Echols & Associates, formed in 1979 by David and Eileen Echols, is primarily engaged in contested, complex family law cases. During her professional career on the bench, Eileen Echols received recognition for her expertise, knowledge, opinions and skills as a special district judge in family law. David Echols, an adjunct professor of undergraduate and graduate classes in family law, has written professional articles with Eileen Echols. Foliart Huff Ottaway & Bottom, since 1949, has tried civil cases in all Oklahoma federal and state courts. In addition to trial and appellate work, its attorneys provide consulting services to national, regional and local businesses, including health-care providers, product and pharmaceutical manufacturers, oil field service companies and insurers. GableGotwals, with 90 attorneys and Fortune 500 clients, is one of the largest law firms in the state. Founded in 1919, the firm is proud of its Oklahoma roots and foundations, but its reach is global. Also, GableGotwals has a long commitment to hiring female attorneys, many of whom lead company committees. Hall Estill’s practice extends locally, nationally and internationally. 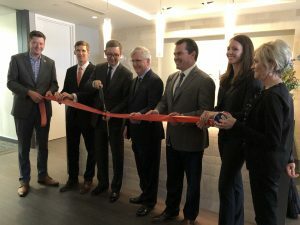 An Oklahoma-based full-service law firm, Hall Estill employs more than 150 lawyers and legal professionals in Tulsa, Oklahoma City, Denver, Northwest Arkansas, Nashville and Portland, Oregon. For four decades, this firm has focused for 40 years on employment law, from sexual harassment and disability discrimination to wrongful termination and violations of the Family Medical Leave Act. Founder Mark Hammons Sr. founded the Oklahoma Employment Lawyers Association, which conducts seminars and meetings for lawyers representing victims of discrimination. Jones Gotcher, which opened its doors more than 50 years ago, has fostered three state Bar Association presidents, five Tulsa County Bar Association presidents and a member of the American Bar Association’s board of governors. The firm’s support staff has more than 200 years of experience in the legal field. Latham Wagner Steele Lehman covers everything from intellectual property to real estate. The firm, which goes by the initials LWSL as its brand, prides itself on another meaning for those letters: Lawyers Who Still Listen. LWSL, committed to diversity, also presents a yearly scholarship to a female or minority student at the University of Tulsa College of Law. McIntyre primarily focuses on personal injury, medical malpractice and drug liability, and founder Noble McIntyre is president of the Oklahoma Association of Justice. The team consists of four attorneys and a support staff of legal assistants, case investigators and interns. The website offers a live chat option if you need counsel right away. Tawwater, for more than 38 years, has specialized in personal injury lawsuits, from insurance disputes and motor vehicle accidents to medical malpractice and product liability. Tawwater says it represents the people of Oklahoma and never big business, insurance companies or those who injure fellow Oklahomans. Acme serves customers worldwide with air movement and control products. Acme’s engineering and production staff uses the latest technology, rigorous quality control standards and latest techniques for research and design. This family-owned company specializes in water-treatment technology. Its product line includes a single high-tech cluster that monitors and controls cooling towers, boilers and waste systems. President and CEO Dan Morris says providing service is his No. 1 goal. AG Equipment, founded in 1979 by H.G. Ash, is a privately owned company specializing in custom gas-compressor packaging solutions. These compressor packages are built and shipped to oil and gas fields worldwide. AG has grown to 375 full-time employees, 600,000 square feet in work area and 78 assembly bays spread over 80 acres. Founded in 1985 by Mike and Narissa Rampey, Air Assurance has received numerous industry accolades, including last year’s Energy Star Century Club award. The Rampeys’ son, David, is a co-owner. In addition to heating, air-conditioning and ventilation installation and repair, Airco also offers a wide range of plumbing services and equipment. It is also the official service provider for the NBA’s Oklahoma City Thunder. 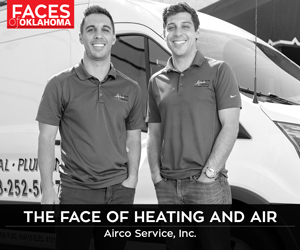 Air Comfort Solutions emphasizes efficiency, from transportation to scheduling, and is a leading provider in heating, plumbing and air conditioning. 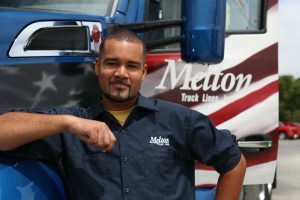 The company stocks its trucks with a full assortment of supplies to lessen delays in a repair. It also prides itself for being on time to appointments and finishing a job quickly and completely. Alfa Laval, a Swedish company, expanded its operations in Broken Arrow in 2018 after acquiring ACE Air Cooled Exchangers in 2013. It provides custom-made cooling units for every part of the natural gas supply chain, be it upstream, midstream or downstream. Since 1910, Boardman has provided myriad manufactured products: water well casings and buckets, hog feeders, stock tanks, cotton seed gins, oil mill equipment, fuel storage tanks, grease racks, smokestacks, breechings, culverts and tanks for trucks and trailers. From 1929 to 1996, it even made firetrucks. It’s the largest Oklahoma-based bridge builder, too. CaptiveAire is the nation’s leading manufacturer of commercial kitchen ventilation systems. 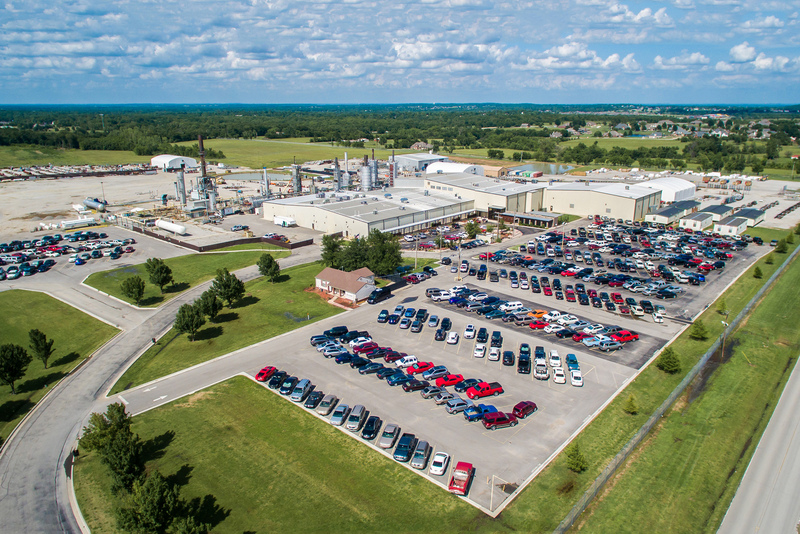 CaptiveAire has more than 90 sales offices in North America and six manufacturing plants, including the one in Muskogee. CaptiveAire’s clients include national chains, independent restaurants and other public and private institutions. Centek designs, markets and manufactures innovative oil field centralizers and stop collars. The focus is always on reducing risk and rig time. Centek’s one-piece, bow-spring centralizer is revolutionary because of its flexibility and strength, and is used around the world. Its simulation program helps to minimize or eliminate casing problems. Dal-Tile owns and operates numerous manufacturing facilities in the United States and Mexico, including the Muskogee plant, which produces porcelain floor tile. A subsidiary of Mohawk Industries, Dal-Tile is one of the largest manufacturers and distributors of ceramic tile in the world, and employs more than 10,000 workers worldwide. Among Delco Electric’s more notable projects have been OKC’s Whole Foods Market, Bass Pro Shop, Top Golf and Devon Boathouse. The family-owned electrical contractor has operated since 1979. Ditch Witch designs, builds and markets a complete line of directional drills, drill pipe, tooling for horizontal directional drilling, vacuum excavators, trenchers, sprockets, mini-skid steers and vibratory plows. The Perry powerhouse, known for its bright orange equipment since its founding in 1949, invented the underground utility construction industry. Fabricut began when two men, both survivors of Nazi Germany, operated a drapery/slipcover store in New York, but had a dream of opening a wholesale fabric operation of their own. Harry Guterman and Joe Finer began Fabricut in Tulsa in 1954, and the company has now grown into a worldwide operation, offering more than 58,000 fine choices in fabric and trimmings. The Lawton plant, which completed a recent expansion, is one of Goodyear’s largest, most efficient facilities, and is the largest manufacturing plant in Oklahoma (nearly 3 million square feet of production equipment on a 550-acre site). Its 2,400 workers produce radial tires for passenger cars and light trucks for markets throughout the world. Kimberly Clark produces familiar household brands, and the Jenks mill and plant produces two of the company’s billion-dollar brands: Cottonelle and Scott. They have 42,000 employees and operations in 35 countries; their leading brands are sold in more than 175 countries; and nearly one-quarter of the world’s population buys its products daily. Kimray increased its energy industry presence by partnering in 2018 with Flo-Tite Valves and Controls. Doing so has allowed Kimray to expand the number and types of valves it can supply by drawing midstream facilities (not just upstream locations) as customers. Matrix provides construction, maintenance and fabrication to the energy, power and industrial markets across North America. One of only two heavy metal fabrication facilities in the United States, Catoosa’s plant has a high-achieving voluntary protection program that gives it recognized status from the Occupational Safety and Hazard Administration. This company, operating for more than 33 years, also has facilities in Birmingham, Alabama, and Glen Allen, Virginia. It supplies any pipe needed in the energy industry, from steel casing to coil form, as well as piling pipe for water treatment plants. It has fabricated large steel-rolled and welded pipe since 1986. The Parduhn family founded the traffic-control company in 1985 and has run it ever since. It has more than 300 employees and offers products and services ranging from signals and roadway lighting to decorative signs and camera mountings. The company’s namesake started Petroleum Electric Co. in 1920 by supplying electrical equipment to the energy industry. The company, which took his name in 1933, expanded its line of pipeline products through the decades and had placed resources on all continents, except Antarctica, by 2007. It can solve virtually any pipeline problem or challenge, on- or off-shore. Zeeco operates more than 20 locations globally, including a large product research and test facility, four strategically located manufacturing facilities and more than 1,300 employees and agents. Zeeco designs, engineers and manufactures next-generation combustion equipment and advanced environmental systems, equipping critical components in refining, production and many other industries around the world. Fine Airport Parking offers short- and long-term parking, complimentary shuttle rides to the nearby Tulsa International Airport and car detailing and other car services. “We focus on integrity, security and customer service,” the family-owned company says. The major private fund-raising organization for the school, the OSU Foundation provides scholarships, supports faculty and staff and underwrites community programs. Century 21 employees are committed to the community, especially when it comes to Century 21’s longtime partnership with Easter Seals. More than $114 million has gone to the charity from company franchisees since 1979. The company also supports veterans who need help with employment, assimilation after deployment and home ownership. Coldwell Banker, founded in 1906, proclaims itself as “the oldest and most established real estate franchise system in North America.” The company and its agents have long embraced progressive technology and pushed Coldwell Banker to become the first national real estate brand with an iPad app, the first to augment its website for smartphones, the first to create an iPhone app for international listings, the first with an iPad app to integrate big data with home listings and the first to harness the power of video into listings, news and information. 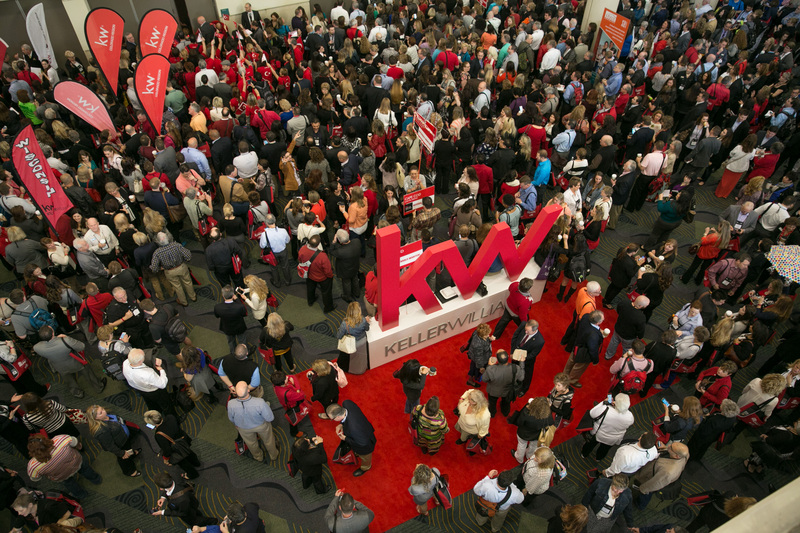 With its founding in 1983, Keller Williams is relatively new to the real-estate scene, but that hasn’t kept it from being one of the fastest-growing franchises in the country. Many of its agents embrace “the company’s emphasis on education, coaching, technology, culture and wealth-building opportunities that redefine their potential and take them to new heights,” according to the company. Tulsa-based McGraw is the largest independent real-estate company in Oklahoma and has been around for more than 70 years. 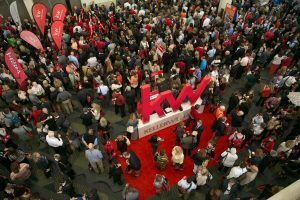 The company believes that its success depends upon recruiting and retaining top-notch agents, who buy in to McGraw’s culture of excellence, ethics and high standards. Throughout its 30-plus-years history, the company’s mantra is “Going beyond.” Employees pick up on this. “By putting the interests of others in front of our own, we believe that opportunity flows from deep, long-lasting relationships based on mutual interest and respect,” the company says. The Stan Johnson workplace fosters professionalism, finding the right fit for each worker, integrity, building relationships and mentoring. Consumer Affairs, based in Lake Tahoe, Nevada, has a large presence in Tulsa. Consumer Affairs helps clients make smart decisions based on unbiased feedback and research-driven information. It provides a trustworthy, neutral platform to share and respond to reviews. Consumer Affairs allows companies with specific brands to connect with their customers. Paycom celebrates its employees’ individuality and their successes with annual events just for them, including year-end parties, family-friendly fall and winter parties and National Payroll Week festivities. Paycom boasts numerous workplace awards, largely based on the impressive benefits that employees enjoy and the supportive culture Paycom offers. private jets inc. has six bases. Photo courtesy Private Jets Inc.
Fitting his name, the president of Oklahoma City-based Private Jets Inc. can tell an amusing story – especially since his company extends its reach throughout the country. Happy Wells chuckles dryly when discussing his early stewardship. The turning point came in 2010, when Private Jets turned enough profit to expand. Eight years later, the transportation service has bases in Austin, San Antonio and Sugar Land, Texas, and St. Augustine and Naples, Florida. Its 50 employees run 20-24 aircraft, with plans to add about five more jets in 2019. Private Jets also broke ground last month on a 30,000-square-foot hangar at its headquarters at Wiley Post Airport in Bethany. Wells stresses personal responsibility with his workers. “If something goes wrong, they are already working on how to keep it from happening again, even before I learn about it,” he says. The world’s largest commercial airplane maintenance facility is not in Fort Worth, Texas, American’s home base, but at Tulsa International Airport. In 2018, the 3.3-million-square-foot facility, begun in 1946, took over repairs on many of the engines on Airbus jets in American’s fleet. Virtually every craft in the American Airlines fleet comes through Tulsa for service, maintenance or overhauling. American Airlines has more than 5,200 employees at the facility. James and Bonnie Miller, along with sons Jim Don and Bobby, have run the trucking company since 1983. 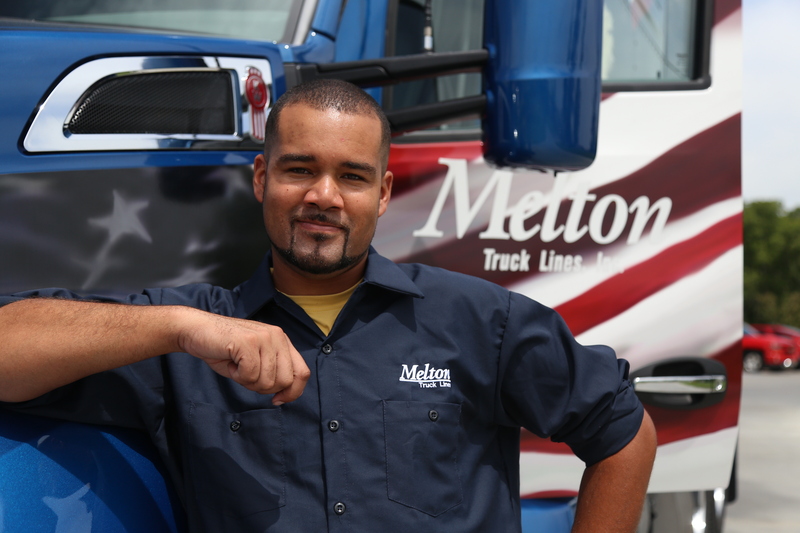 The company features refrigerated, dry van, tanker and flatbed trucks, along with a regional wrecker service. It has even hauled live sharks from Las Vegas to the Oklahoma Aquarium in Jenks. Omni has a 30,000-square-foot hangar and administration facility near Tulsa International Airport. 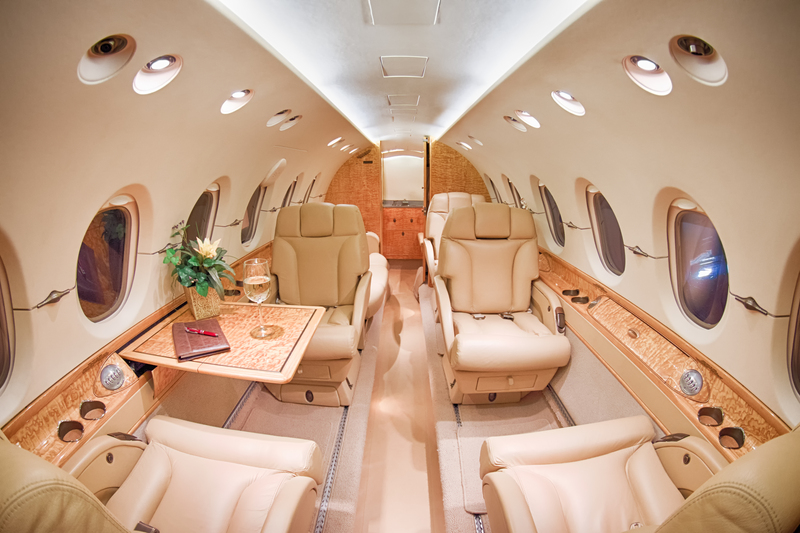 This charter aircraft and management services company flies more than 800 private trips annually. Pilots and crew have constructed Omni’s industry-recognized safety record. As a result, many of Omni’s clients have been around for most of the company’s 35 years. The family-ownership group has worked with independent truckers for 50 years to keep their cash flowing. “We know trucking,” the company says. “We understand shrinking margins due to fluctuations in fuel costs, load rates and costly repairs.” The seasoned staffers dedicate themselves to helping their clients, who, in turn, stay loyal to TBS. UPS Store locations throughout Oklahoma provide package delivery, ground freight, health-care logistics, freight forwarding and contract logistics services. Founded in 1907, UPS has built a legacy as a caring and responsible corporate citizen, actively engaging in programs to support the communities where UPS employees live and work. Cherokee tourism has been recognized nationally and Principal Chief Bill John Baker won an award for his steadfast commitment to tribal hospitality. According to tribal officials, 65 percent of profits from the Nation’s businesses are turned straight back into those workplaces. The other 35 percent goes toward programs and services directly benefiting Cherokee citizens. The Chickasaw Nation is a nation of businesses these days. It has a full production company making feature films, several radio stations and numerous publications. There’s also the Artesian Gallery and Studio in Sulphur and the WinStar World Casino and Resort in Thackerville. Chickasaw officials say this economically diverse base has allowed tribal businesses to grow, employees to prosper, programs and services to expand and the overall quality of life for the Nation to improve. Workers can find just about any kind of job, whether it’s in finance (Bank2 in Oklahoma City), journalism (the Chickasaw Press) or the performing arts (the McSwain Theatre in Ada). Choctaw Chief Gary Batton says putting employees above himself (the opposite of the top-down model) has led to expanded services for the entire tribe. 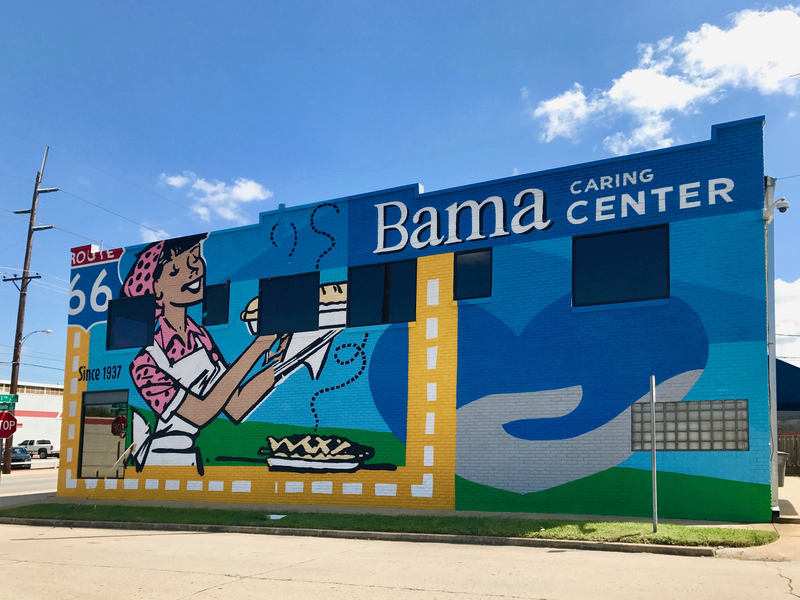 He has also made community health a priority for the tribe and its nearly 6,000 full-time employees, who, along with their dependents, receive free prescriptions, vaccinations and immunizations. Among the businesses run by the tribe are the FireLake arena, bowling center, golf course, ballfields, design shop, pizza, fry bread-taco restaurant, discount food store, express grocery store, corner convenience store and travel plaza. As the largest employer in Pottawatomie County with 1,900 full-time employees, the Nation has grown rapidly during the past decade. One of the Nation’s preeminent enterprises is the Jenks RiverWalk, home to the three-story FlyingTee golf driving range, with a restaurant and bar on each level. But that’s not the only place where you can eat, drink and have fun; the RiverWalk has more than a dozen other eateries and shops. The Osage Nation pours money it makes from mineral rights, production and gaming back into its citizens. Professional development, education incentives and other support services create loyalty among workers, whose wages help drive economies in many towns throughout Osage County. The tribe is the largest employer in Pawhuska. In addition to casinos in Seminole, Wewoka and Konawa, the Nation operates a softball complex, campgrounds and the 26-room Grisso Mansion, an ideal venue for weddings and other celebrations. Profits from these businesses go straight into dozens of programs and services provided to its citizens.